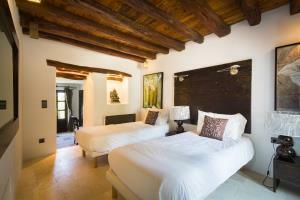 Our two super deluxe suites offer large living spaces with luxurious beds for a peaceful nights sleep. 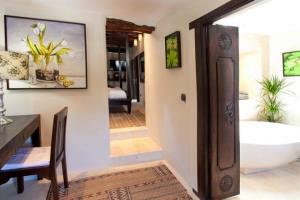 Each has direct access to private terraces overlooking the villas gardens and plunge pool, with day beds for chilling. 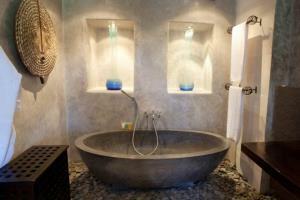 The boutique in and out door bathrooms help you unwind and relax after a day's training. Daily cleaning & towel change. 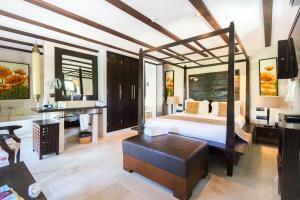 The Deluxe doubles in this luxury villa include big bedrooms, and boutique bathrooms, with baths and showers. 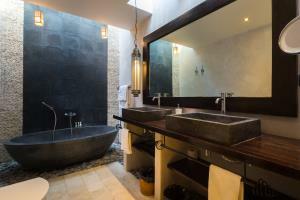 With all the luxury touches you would expect from this boutique camp including daily cleaning and fresh towels for you to enjoy the pool, sauna and plunge pool. 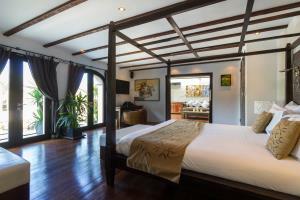 Our lovely large shared room in this incredible luxury Balinese themed villa offers a calm place to relax & chill after a days training under the Ibizan sun. 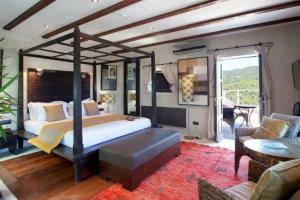 What better way then to get your nights sleep than in a sumptuous four poster bed leaving you refreshed for your next day on camp. 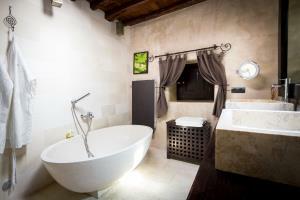 Shared ensuite bathroom, with private terrace and direct access to gardens. Daily cleaning service. 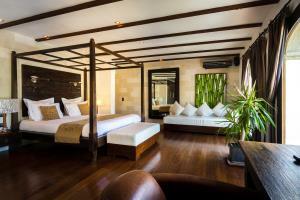 Our large shared room is in its own wing of this luxury Balinese themed villa, offering a sumptuous place to relax and chill after your days training under the Ibizan sun. 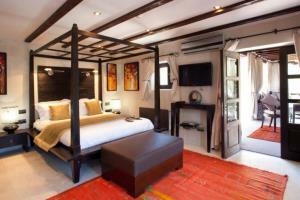 Each single bed shares the large ensuite bathroom and private terrace. Daily cleaning service.